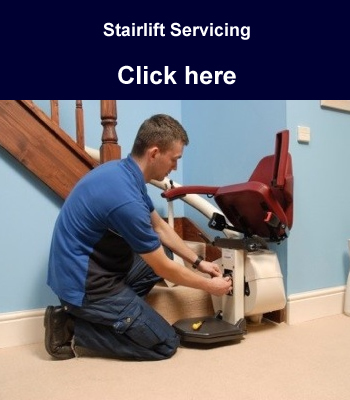 Kudos Stairlift emergency response engineers are available 24/7, our engineers are fully trained and approved to work on all makes and models. We will complete some diagnosis over the phone with you (at no charge) as experience tells us that a high number of faults can be resolved simply like this. If your need is not an emergency, or you need a service or maintenance work carried out, we can pre-book at a convenient time to suit you. Fixed rates, and a no nonsense approach to customer care – call us now. Kudos Mobility Group, Pod Business Centre, Harris Way, Sunbury on Thames, Surrey, TW16 7EL is an appointed representative of Mark Bates Ltd t/a Premier Care, Premier House, Londonthorpe Road, Grantham, Lincs, NG31 9SN who are authorised and regulated by the Financial Conduct Authority. Number: 308390. You can check this on the FCA’s Register by visiting the FCA’s website www.fca.org.uk register or by contacting the FCA on 0800 111 6768.